House Oceane is a rustic-style property in Povoa de Varzim, featuring BOTH classical and modern furnishings. The property is 400m from the Ave riverside area and features a garden and a scenic terrace area. The house features 3 bathrooms and an equipped kitchen. It comes with a dining room and living areas with a TV. The air-conditioned unit has a patio and views over the mountain. Guests are welcome to prepare Their meals in the spacious, equipped kitchen at Their disposal. Meals can be enjoyed in the dining area. Povoa de Varzim center is 13 minutes away by car and several restaurants has, where guests can enjoy a traditional Portuguese meal. Braga is a 30-minute drive and features a famed historical center, highlighted by its well-known cathedral. The DiverLanhoso adventure park is 7 km away. Oporto International Airport is a 1-hour drive from Casa Oceane. All children are welcome. Free! One child under 2 years stays free of charge when using existing beds. Free! One child under 2 years stays free of charge in a child's cot/crib. 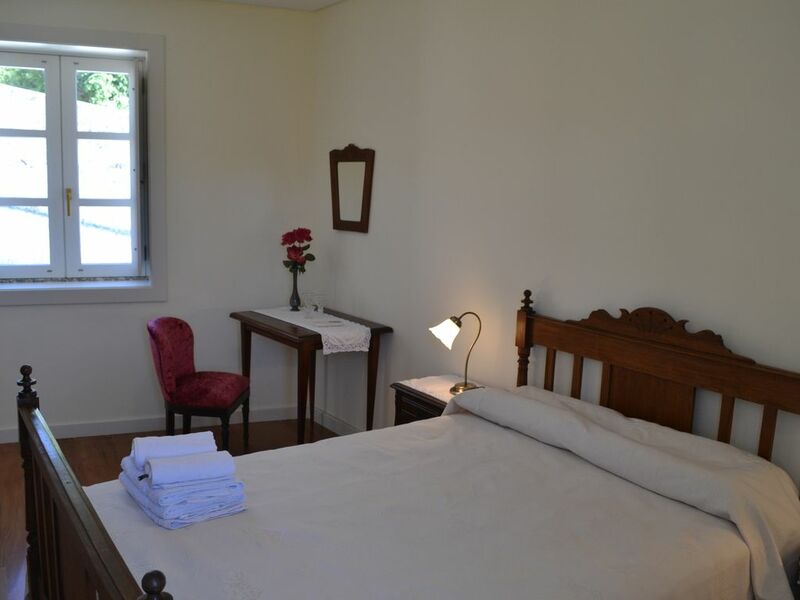 One older child or adult is charged EUR 15 per night in an extra bed. The maximum number of children's cots/cribs in a room is 2. The maximum number of extra beds in a room is 1. Any type of extra bed or child's cot/crib is upon request and needs to be confirmed by management.